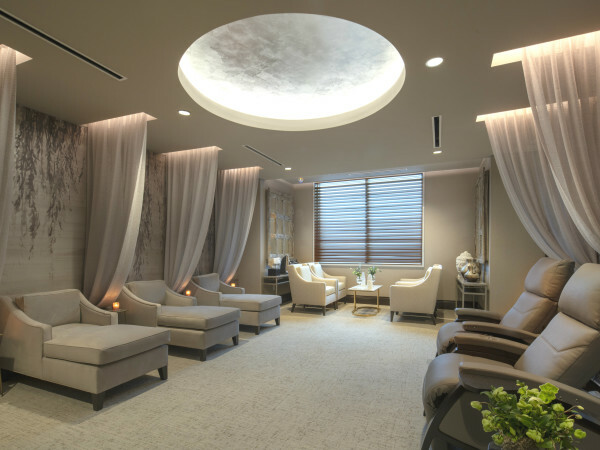 Seeking tablescapes that inspire our own creativity, we searched through our photos files for 2015 and selected the most beautiful tables of the year. 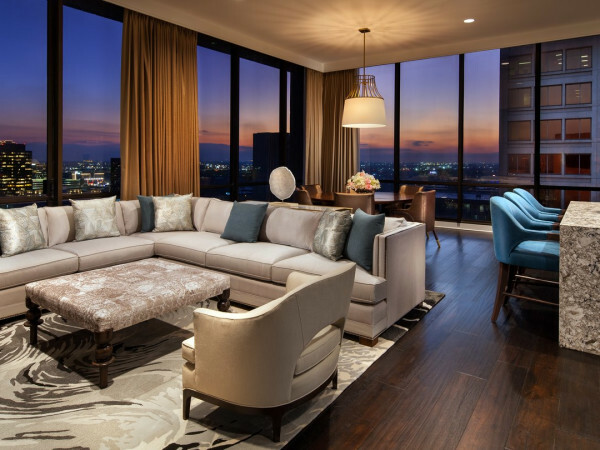 Some are over the top extravagant while others are down-home charming. 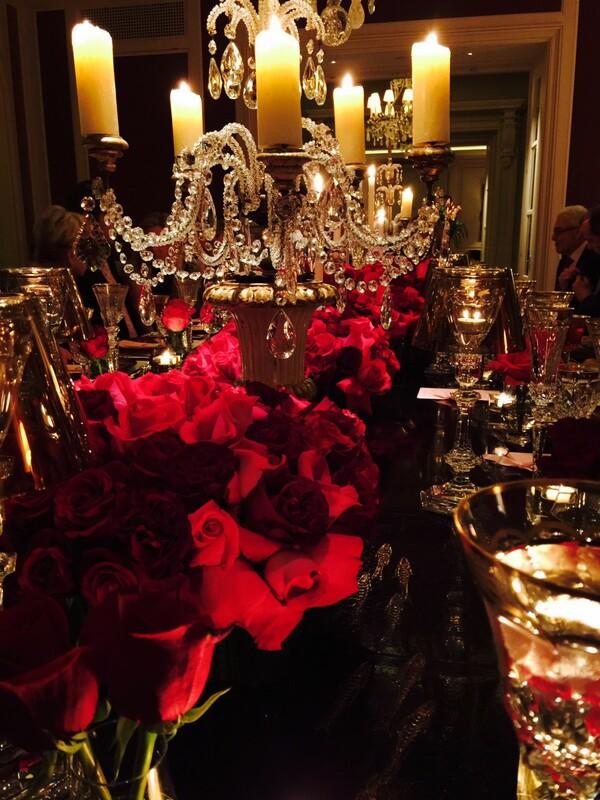 Valentine's is all about romance and nothing could be more romantic than this magnificent table setting complete with St. Louis crystal glasses, Baccarat crystal candelabra and arm loads of roses. 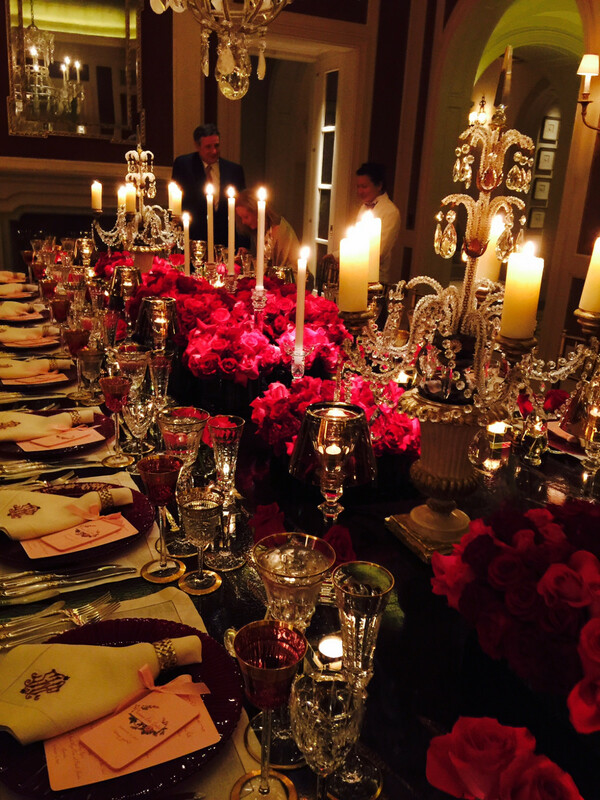 A detail of the grand Valentine's Day dinner table. 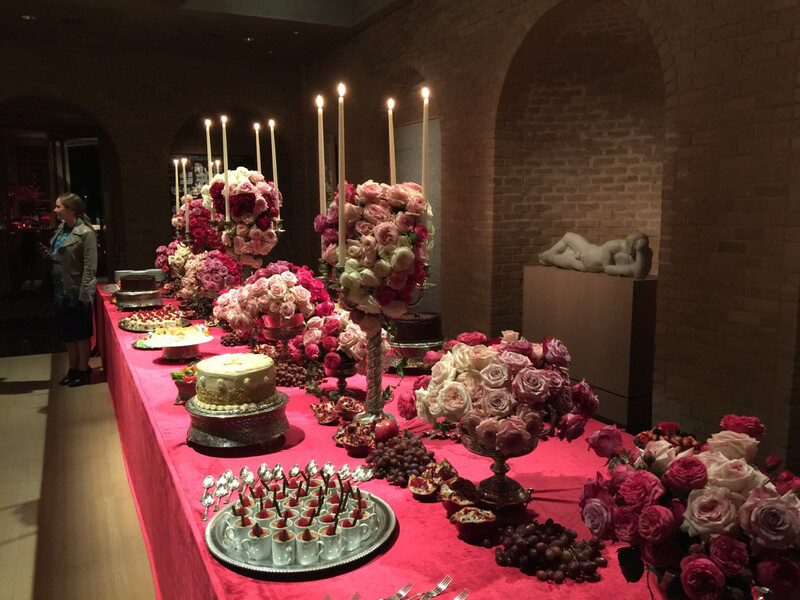 When Dolce & Gabbana asked Becca Cason Thrash to host a dinner party at her home, the design firm dictated every tablescape detail including this magnificent dessert spread. 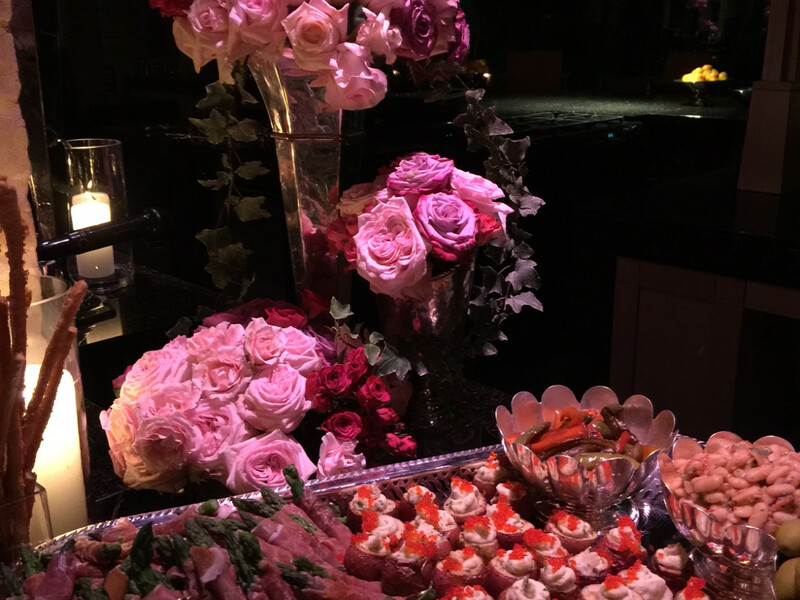 Dolce & Gabbana designers even specified food displays for the dinner celebrating opening of the store in River Oaks District. 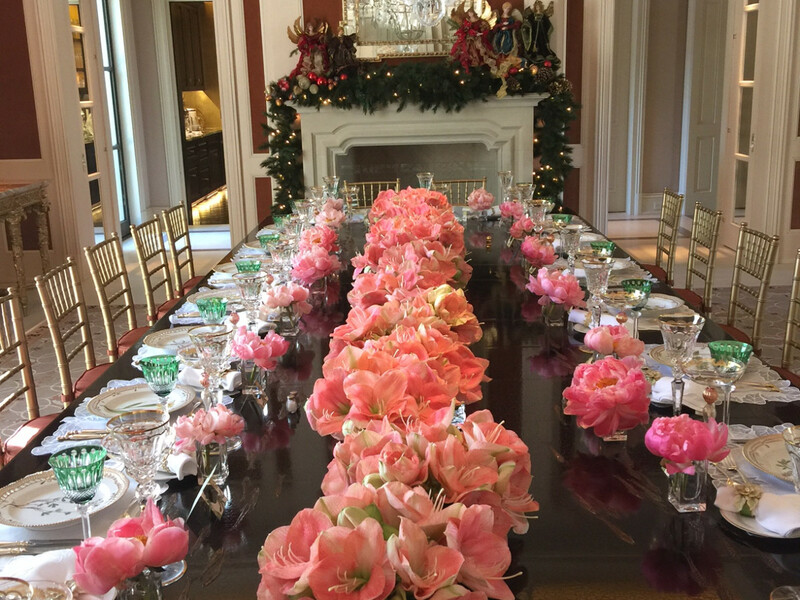 A duo of December birthdays inspired this feminine luncheon table design with peach-hued peonies and amaryllis. 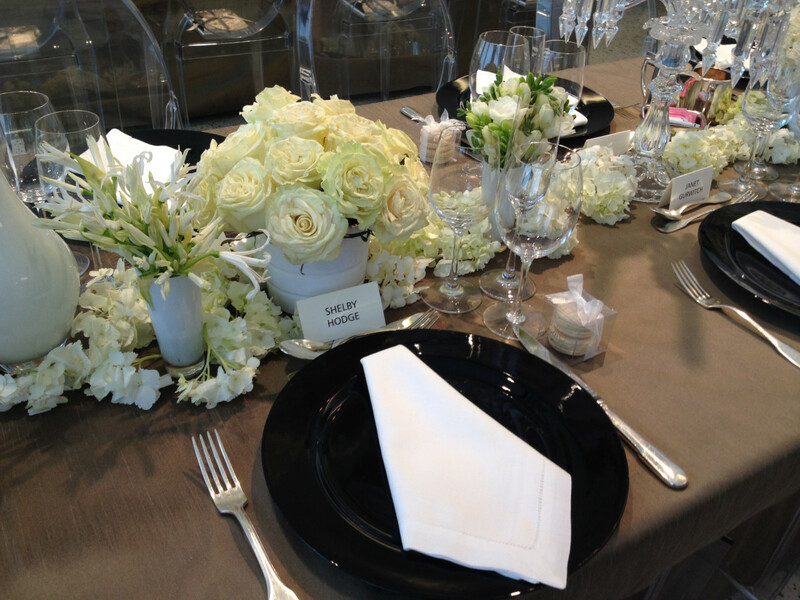 An early summer ladies luncheon table lined with all white flowers and white ceramic containers. 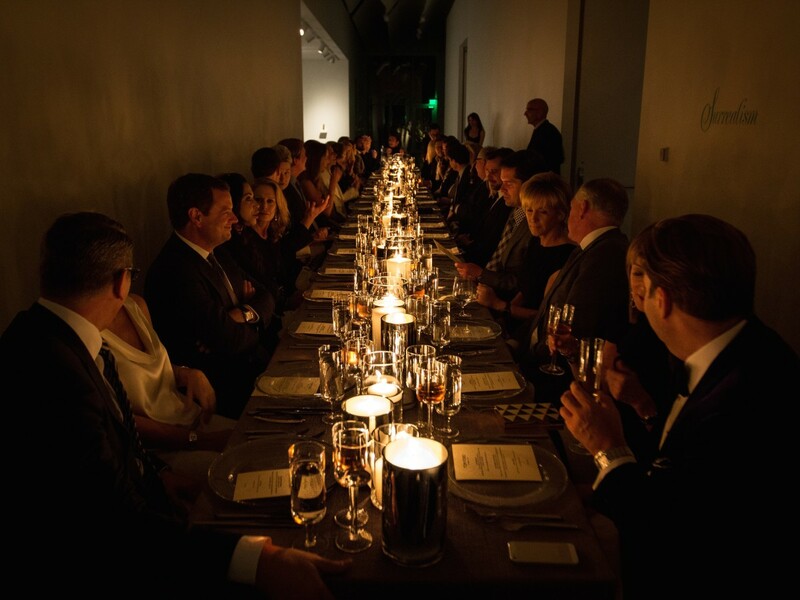 There are those occasions when less is more such as this Tom Ford dinner at The Menil Collection where candlelight and shiny crystal glasses were the focus. 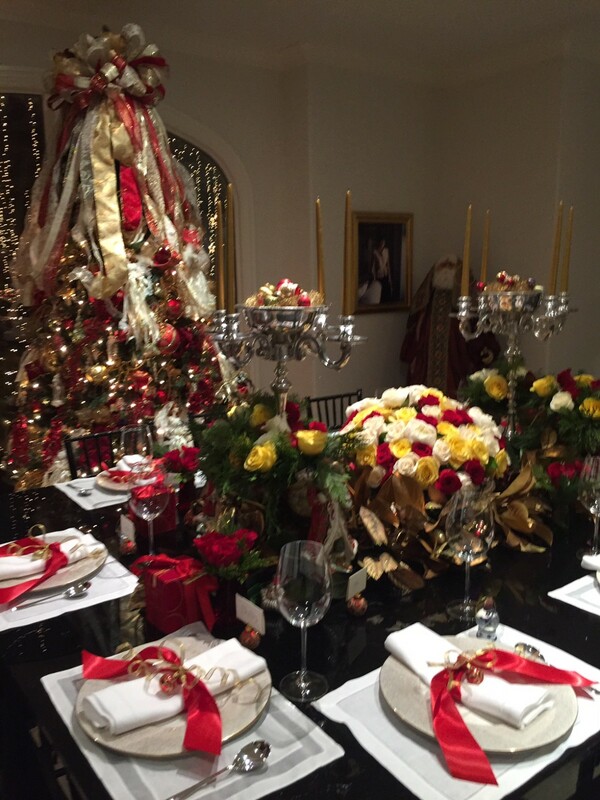 Cynthia Allshouse took her Christmas table decor to exceptional heights with sterling silver compote candelabras, red satin ribbons and Nest candles as party favors for the ladies and Rice owl ornaments for the gents. The latter compliments of Rice grad and proud supporter, attorney Bucky Allshouse. 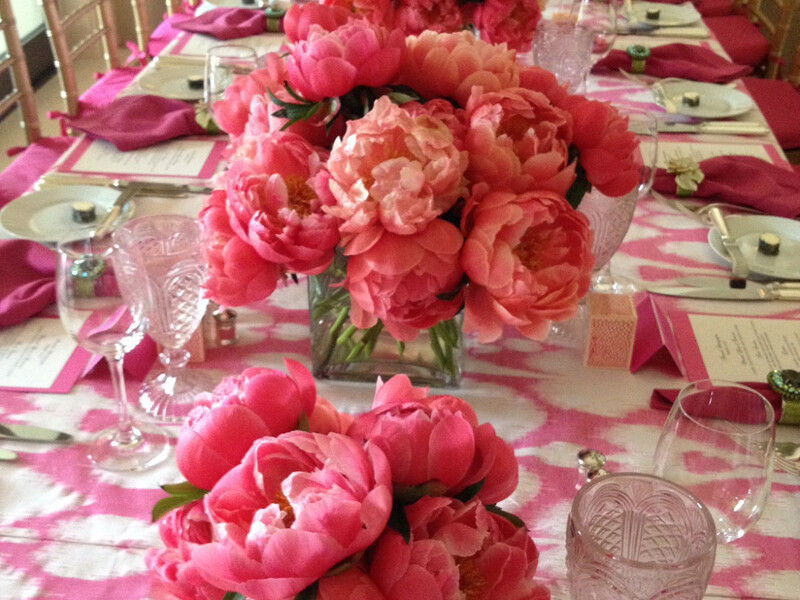 A ladies birthday luncheon calls for profusions of pink peonies. Not all holiday tables have to be over the top. 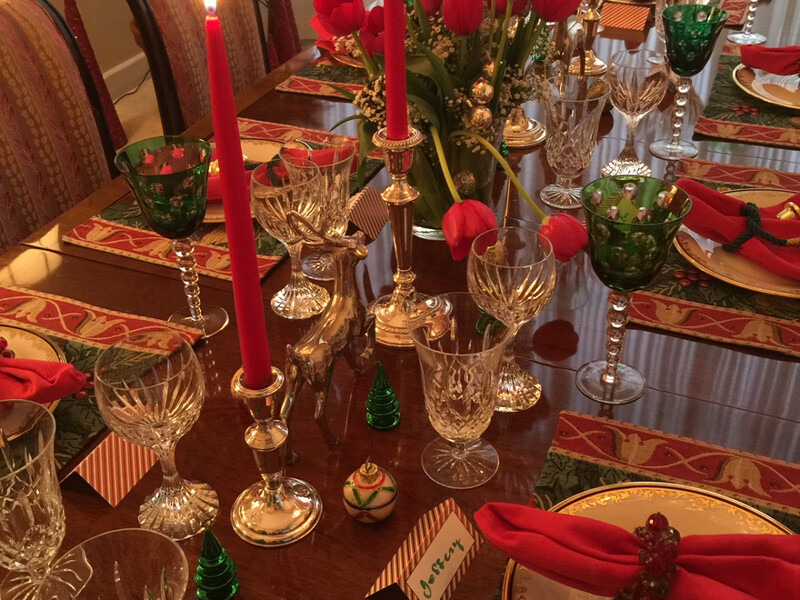 Here, Lenox 's "13 Original Colonies" plates set the festive mood that is carried out in colorful candies surrounding the centerpiece of roses hydrangeas and holiday greenery. Note the lottery tickets with accompanying penny for scratching for the results. 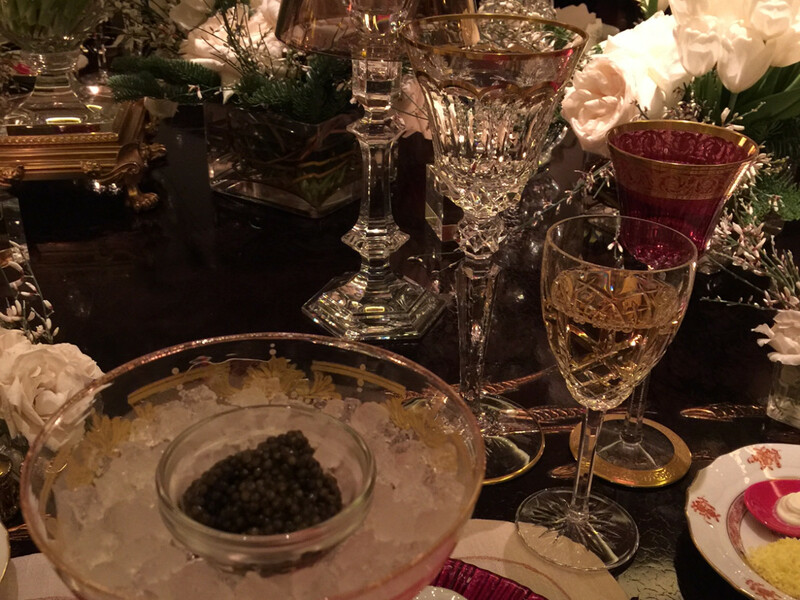 Caviar was never presented more elegantly than at this splendidly outfitted table where St. Louis crystal brightens the celebration along with profusions of white roses. 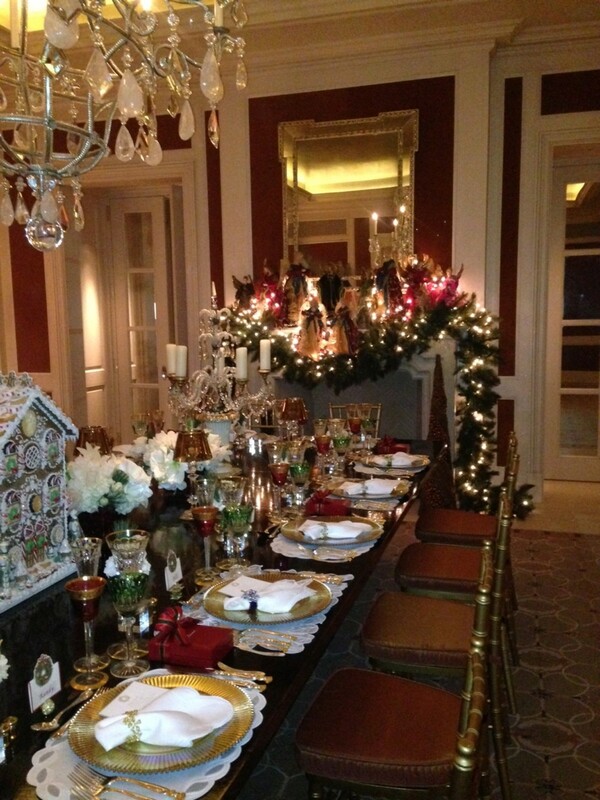 A spectacular gingerbread house serves as centerpiece for this merry Christmas dinner party. 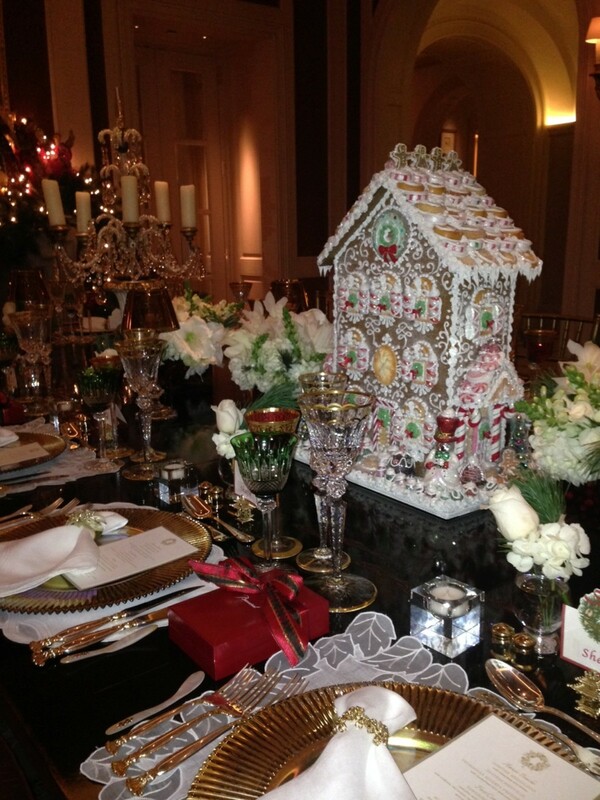 The yummy gingerbread house was a find in Dallas. 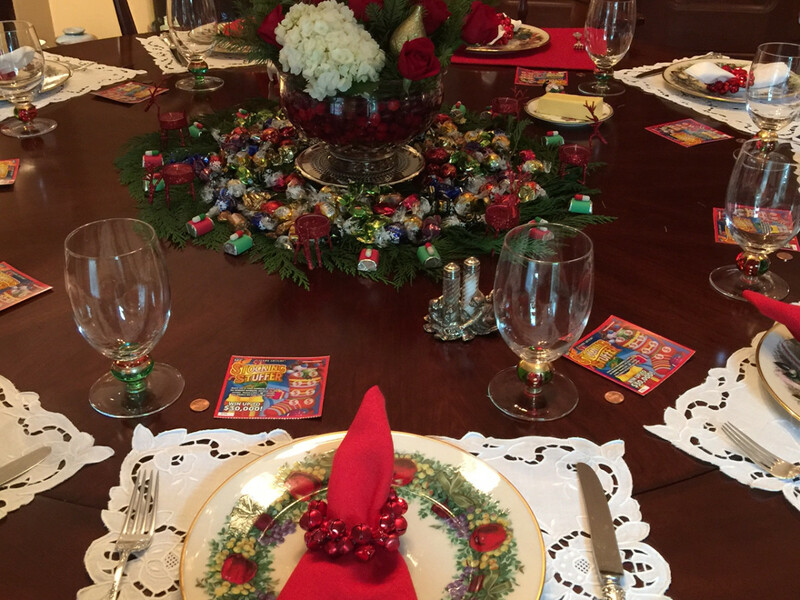 This hostess used Christmas tree place card holders and Christmas ornament place card holders as decorative touches to a colorful table top. 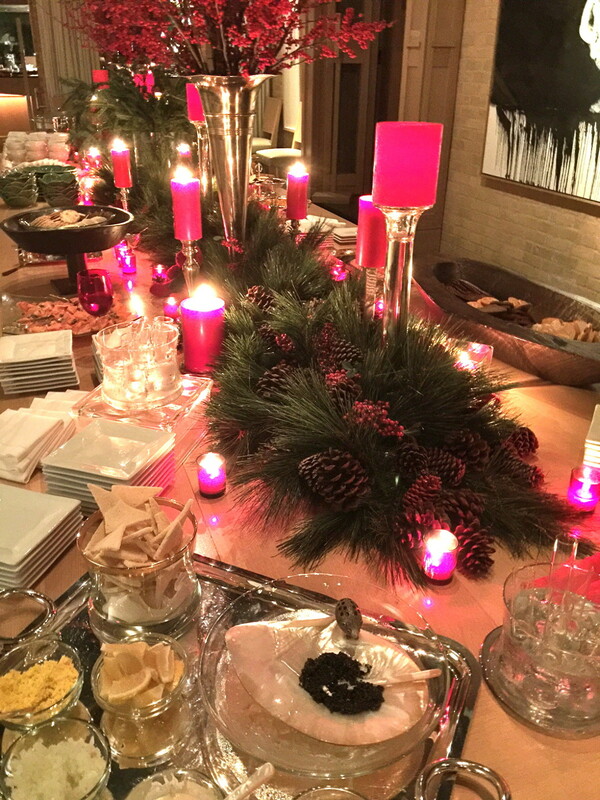 Becca Cason Thrash created this holiday tabletop employing red (yes, the actually are red) candles, red berries and holiday greenery to create a stunning table.